As some song says: “A lil’ Bit of this and a Lil’ bit of that” is what we have for you today. “The University of Hawaii is asking fans to come to next Saturday’s match against Pepperdine and stick around after to help film an upcoming Hawaii 5-0 episode. The match starts at 7 p.m. and some 5,000 tickets are available. UH is asking fans to wear green “H” logo shirts”. Sounds like fun, but I don’t have any tickets, I gave them all out last week. And do 5,000 people really have green shirts with H’s on them, maybe UH, but H? eh? I see a promotion here! If I was a local company in town, I’d print up a ton of green T’s with H’s on the front and put my logo on the back, then tell everyone they can have one if they spend $25 bucks or more at my store this week. (I’d actually sneak my company’s logo somewhere on the front, but that would probably piss off Hawaii Five-0 and I sure wouldn’t want to do that, I still want to get on the show one day! SBSB-Celeb Alert: Spotted earlier today in Kalihi at a school. Arnold “The Terminator” Shwartzenager (sp) and Tia Carrere. Rumor is he and Tia will also stop by two more schools this week. They are on a mission to say no to drugs, gangs and getting Drunk and Saying yes to homework, sports and Life. Hmmm. Note: Tia Was also spotted at the Hawaii Five-0 Premiere this past Saturday at Sunset on the Beach in Waikiki. And on the Celeb spotting scene: Wayne Brady was at the Wanda Sykes show Saturday night at the Blaisdell. 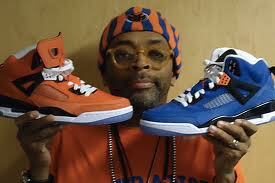 And last but for sure not least SBSB-Shoe Alert: It seems Spike Lee has finally made some Spizikes in a colorway that makes sense and looks really good! He has finally produced the Knicks Colorway in both Orange and Blue. And the Blue is set to go on sale to the general public. 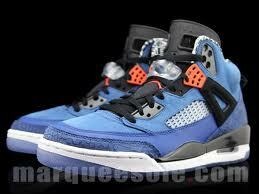 I dont know the exact date on the blues, but do hear that they will be available. I dont know at the moment if the orange colorway will go on sale, but as we can see by this picture they do exist. So far, I’ve resisted getting a pair of Spizikes, mainly because they are usually too expensive at $175 on the racks and usually more on pickyourshoes.com. And because I’ve only once seen a colorway I enjoyed. But now, OMG! These are Sweet! My favorite colors are blue and orange and Yeah, I’m a Bulls Fan, but living in Hawaii most of the year, I can cheer for whoever I want, thus, I am also a Lakers and Knicks Fan. And the Knicks are the only team that I see in person every year at least once. Thus, its ok if I like the Knicks and the Knicks colors. And hopefully, Carmello will get his swag back this year and the Knicks will actually play well for once in like 10 years or so. I’ll keep you posted on when these go on sale. With no NBA season solidified right now, it would be a good time for these to come out, so NIKE can make some money-just think how much money they would lose without an NBA season. I noticed that tickets for Hockey went on sale last week and Hockey and Basketball usually start at about he same time of the year, so “Hey-Where’s the NBA, and why isn’t anyone talking about it” maybe it’s because I live out in Hawaii, but no one is missing the NBA out here except me right now. That’s just plain wrong! 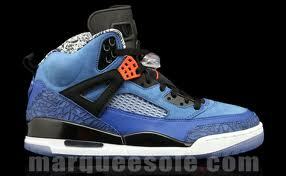 They better be playing when I hit NYC in December or I won’t be rockin’ these or any new B-Ball shoes this year! That will be my protest! Yeah! The Blue ones that the internet does say will go on sale. Today was a pretty fun day on the Streetz outside of where I work, we had the filming of an upcoming show of Hawaii Five-O right outside of where I work in downtown, Honolulu. When I arrived at work it was pretty fun, lots people yelling, Big clumsy looking rigs around, flashing lights, cop cars parked on the sidewalk, then right as I was about to turn into the elevator I saw Alex McLoughlin from Hawaii Five-O about 20 yards away from me with a BIG Gun pointing towards the courtyard. So, I stayed and watched as he said two lines and shot his gun 3 times. Which he did at least 3 different takes of the same thing. I then, went upstairs, did some work, then came back down to check out some more action. This time was even better. Tom Sizemore was there and they shot up a pretend cop car and debris flew through the air just missing me and my friend by about a foot and a half. And let me tell you if it had landed on us it would have hurt. At least it looked that way, maybe it was just flimsy paper, but it hit the concrete..well .. like the sound of um .. concrete-looked and sounded pretty scary to me! I told the grip nearby “Wow! that’s pretty cool how you exploded up something and let it fly and it just missed the people watching it by a little bit” He did the famous “nod and smile” and went on his way. I suspect they wouldn’t mind if the flying debris actually did scared off a few of the downtown office folk. I don’t think they’re used to having such a big crowd watch them film. Through the day they must have told my friend to stop taking pictures like 12 times. He usually stopped, but he did manage to get a couple good vids and a shot of Billy Baldwin, Tom Sizemore and Alex M. I was kind of amazed he didn’t get dragged away by the big security guards. Kind of cool of them that he was able to get a few shots for his Facebook page. As long as no one tells the plot much, a few pix are probably good for publicity. Anyways, I went down there one last time around 4p today and that was the BEST! Billy Baldwin comes raging down the walkway with a blond hostage in tow and a big, big Gun pointing around at us all, then Tom Sizemore does something, next we hear as they told us we would-24 rounds of gunshots-which is a lot more than 24 gun shots-its like a machine gun going off for about 12 seconds and it is LOUD. AFter the 24 rounds went off, Billy B falls backwards and the hostage girl runs away and I guess, all is well? It was fun and I got to see most of the big stars. 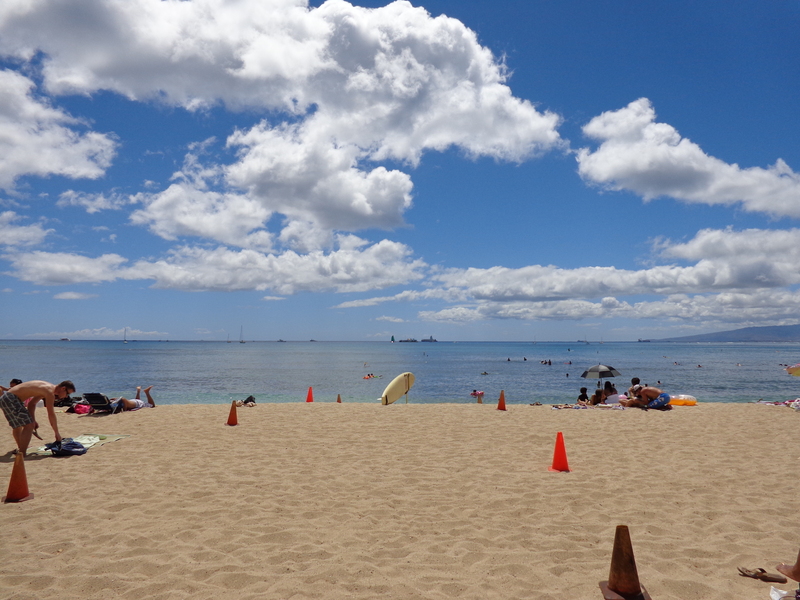 Although, Kona Kalakaua wasnt there and they had some guy who looked like Scott Caan there, but it for sure wasnt him. Overall, it didn’t seem quite as glamorous as I would expect, they sure stood around a lot and MAN-they shot like the same scene 3-5 times and each time it took like 10 minutes to get it ready. But, it was lots of fun to watch the stars in action and to hear the explosions and gun shots going off. Today, was a great example of what fun it can be to live in Hawaii. Have a Great rest of the week! Fun Addendum: So I actually wrote this around 5pm before I went home from work, Thus I went downstairs one more time on my way home from work at about 6:10pm and the first person I saw was Grace Park/Kono Kalakaua and she was sitting on the bench right outside of my job! She had a dog with her and I asked if it was hers, the guards in the area said they “thought it was Alex’s” Grace looked pretty HOT and she had a bloodied bandage on her arm. She got up off the bench and went to film the last seen, In int Scott Caan also showed up and it was really cool, I got to see Alex M take a big A** swinging punch at Tom Sizemore. I watched them film this 3 times and all three times Tom ducked just in time, But on the TV show I be he really gets “Cracked” pretty hard right across the face. Pretty amazing how no one got hurt. The punch Alex Throws is pretty wicked! Ahh, so glad I was able to see the last scene of the day. After it, all the stars pretty much just disappeared, One blink of the eye and they were Gone! Fun Day, today I looked around the courtyard and it looked like they were never there. Even the Bank of Hawaii sign that said Bank of Oahu yesterday was back to the normal Bank of Hawaii. Other thing I wanted to let you know, is they asked us if we were background for the show. We couldn’t quite say yes and get away with it, it seems you need to sign up ahead of time to be an extra and get called in to do the shift, even though many of us thought we were in the background of the shots, we weren’t. Oh well, I’m gonna go fill out the form and see what happens. When I get the call, I’ll let you know. Take Care. ** Friday night Tom Sizemore was down at the Hilton Hawaiian Village and Tonight Billy Baldwin was down there. Seems like the place to be. I remember when David Beckham was in town, he drank at the Starbucks down there almost every morning. And I saw Dennis Rodman years ago on the beach right out in front of the Hilton Hawaiian Village, he was smoking a big ol’ cigar with some body building orange tinged in the skin Hollywood type guy and a lady that had a big tattoo on her that said “Mrs. Rodman” all across her back!